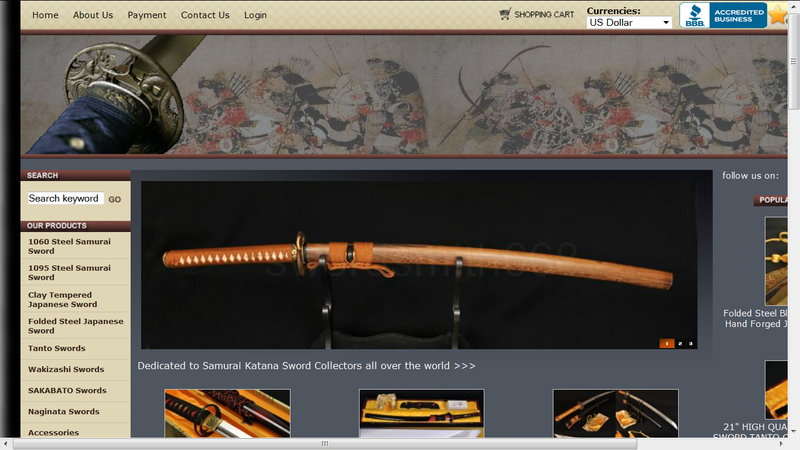 Real-Sword.com, the Camarillo, California based online swords store, is offering a range of Japanese samurai katana swords to customers who love collecting traditional artifacts. Swords hold a special place in the hearts of Japanese people. Real-Sword.com, the one-of-a-kind online swords store, is doing exceedingly well in helping Japanese sword lovers grab their preferred swords online. Flaunting a wide range of the best quality swords in its inventory, the store allows its customers to explore the collection before zeroing on their favorite Japanese sword. Aside from other majestic swords, Real-Sword.com is offering Japanese samurai katana swords to interested customers at the best prices. Real-Sword.com flaunts a range of Japanese swords, Tanto swords, Wakizashi swords, SAKABATO swords, and Naginata swords, each of which is majestic and special for peculiar reasons. The online swords’ store ships its products to the US, UK, Australia, Canada, Germany, France, Belgium, Middle East, Asia, Austria, Norway, Finland, Luxembourg, Malta, Portugal, Spain, Ireland, Africa, Sweden, and Italy. The online store further promises to offer its products at perfectly reasonable prices; thereby, helping its customers own a piece of Japanese culture without shelling out a fortune. The Japanese samurai katana swords available at Real-Sword.com need no introduction as such since their quality, precision, and appearance speak for themselves. Every month, the online store gets numerous orders from customers who want to buy samurai katana online at the best prices. Adhering to their requirements, folks at Real-Sword.com promise to help them buy Japanese sword online with confidence. Camarillo, California based Real-Sword.com enjoys the reputation of being a one-of-its-kind online store that specializes in Japanese swords. The leading online swords store flaunts a range of quality swords in its inventory, which include Tanto swords, Wakizashi swords, SAKABATO swords, Naginata swords, and katana sword. The exclusive range of samurai katana sword available at Real-Sword.com promises superior craftsmanship, quality material, and simply majestic form.